Your fireplace has been warming your toes and your heart all winter, acting as the center piece of your room. But with spring here and fire season about over, what do you do with your fireplace? 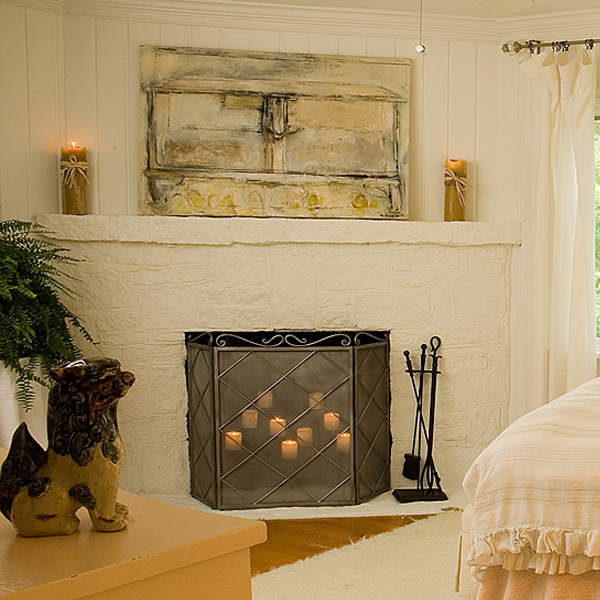 Here we’re sharing some tips for decorating a fireplace for spring and summer? 1. Fill the space with a Candelabra. 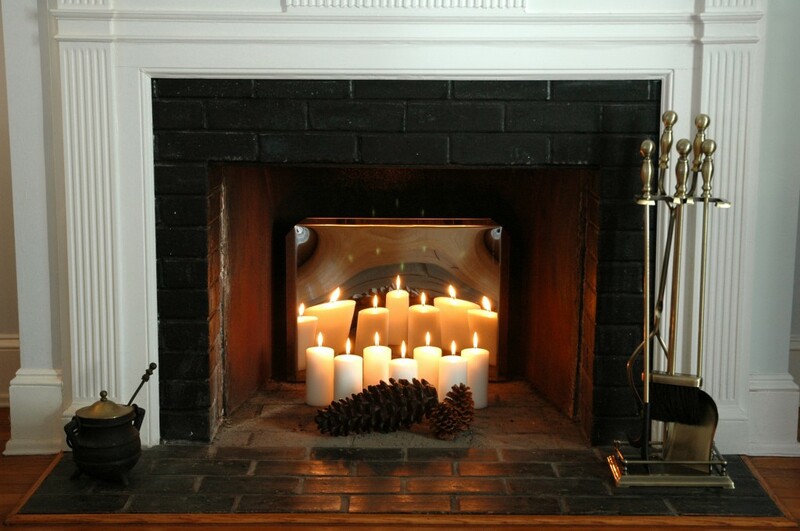 With fireplace candelabra, you can keep flames burning in your fireplace all year! 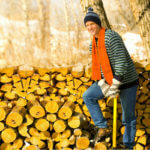 You can have that flickering glow without the heat of a wood fire. Candelabra come in a variety of sizes and designs. Pick your favorite style, load it with candles, and enjoy your fireplace all summer. 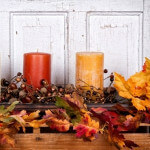 To “spice” things up, try scented candles! 2. Use a Stainless Steel Fireback to reflect light. During fire season, firebacks radiate heat into the room. During warmer months, they can serve as decoration. Cast iron firebacks are available with a variety of designs. For a more contemporary look, a mirrored stainless steel fireback will reflect the colors of your room, filling your fireplace with the perfect accent colors. 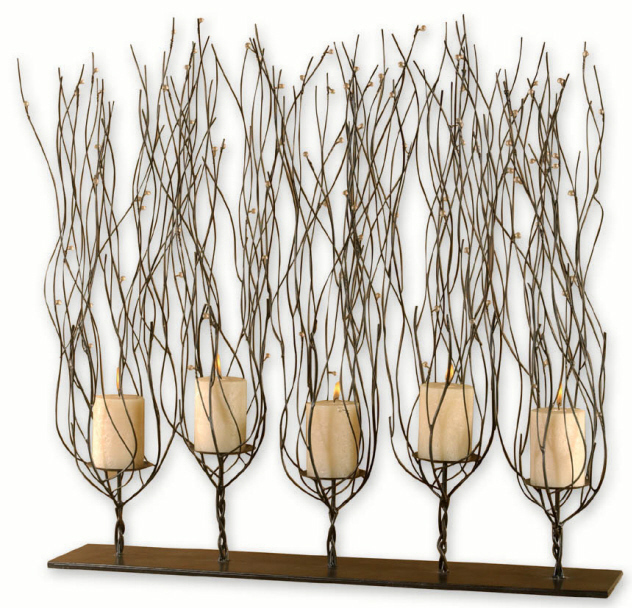 To really capture attention, combine a candelabra with a mirrored fireback. The fireback will reflect the light into the room, creating a warm glow. 3. Decorate it with stacked wood. 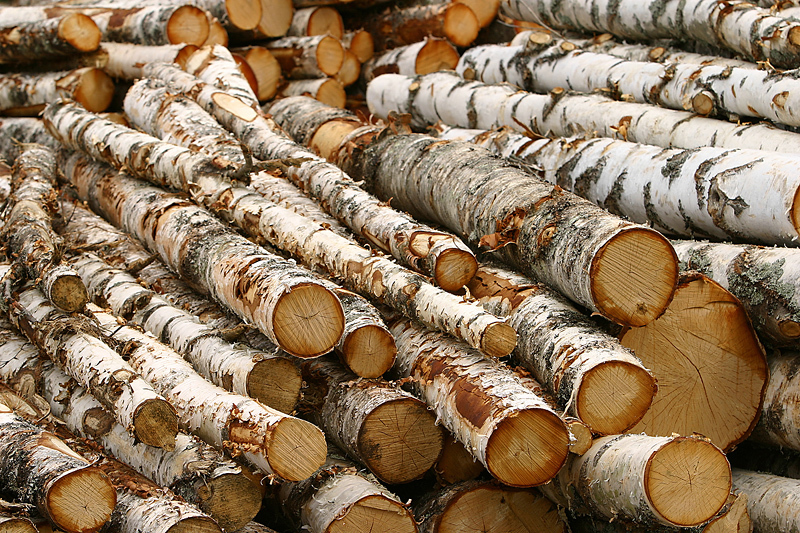 Use wood with a distinctive bark, like birch logs to fill the empty space and yet retain that rustic wood look. 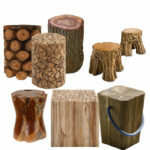 For a different look, stack logs ends facing out to create a woodsy pattern. 4. 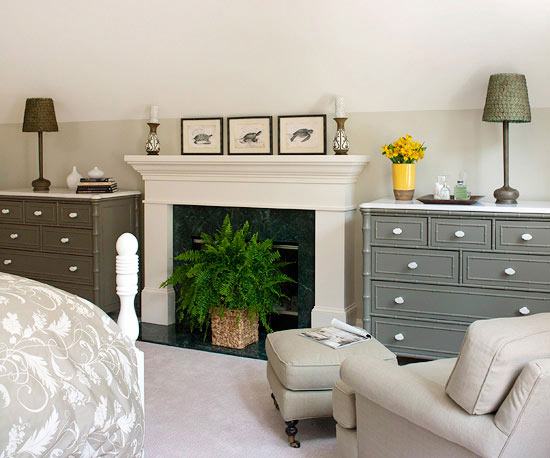 Try decorating a fireplace for spring and summer with fresh plants. Remove the andirons and grate, and fill the space with live plants. Some will do well in that low-light situation without extra lighting. Other plants, however, will need grow-lights to flourish and grow. See the plants we recommend for use in an unused fireplace. 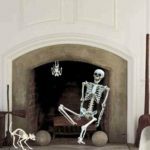 If your fireplace is especially dirty and sooty, you may want to clean it before decorating. 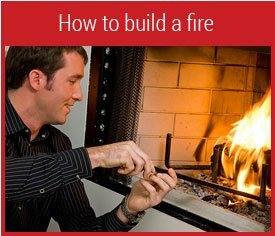 Read our fireplace cleaning guide for helpful instructions. Do you have your own tips for decorating a fireplace for spring and summer? 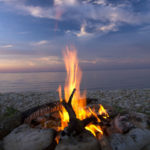 ‹ Is Your Chimney Ready for April Showers? I like the idea of the fireback with the candles and pine cones. It really adds a lot!!! The candles look really good! Great idea.